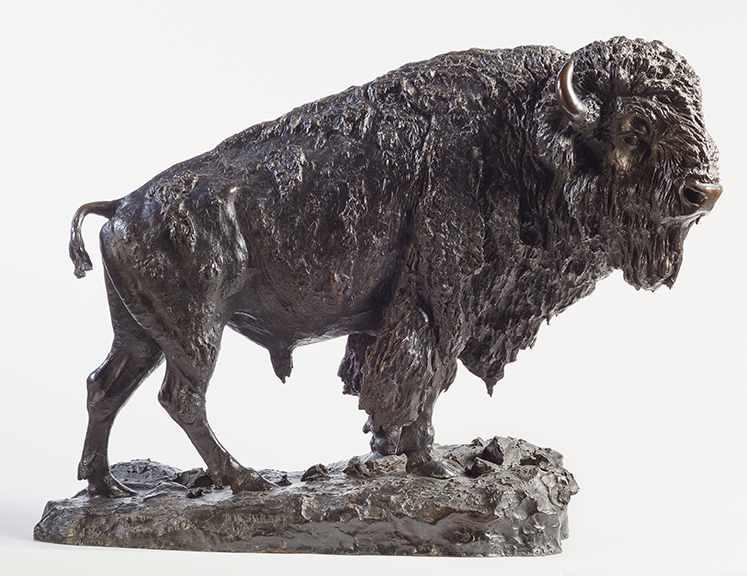 Featuring wildlife that inhabit the West and the artists who have captured their likenesses in bronze. In order of appearance: Veryl Goodnight, Spirit of Autumn, 1984. Bronze, 16 × 24 × 12 inches. Tacoma Art Museum, Gift of Erivan and Helga Haub, 2014.6.57. Photo © TAM, photo courtesy of David J. Swift. 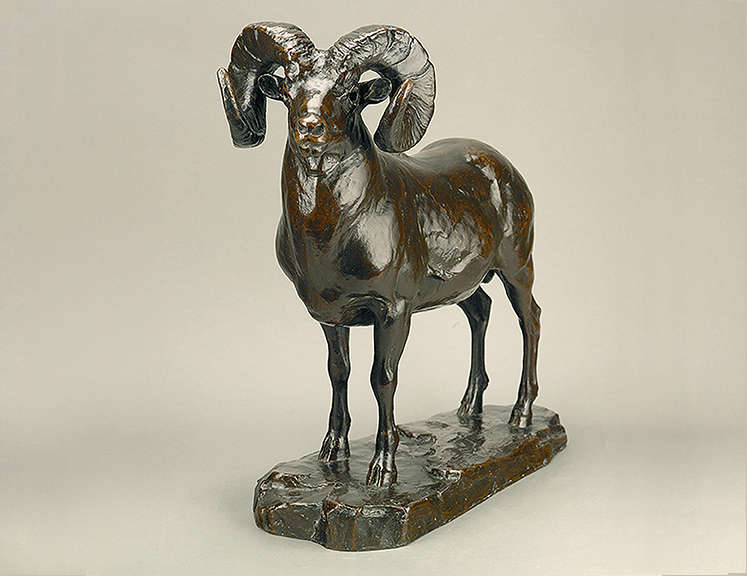 Carl Rungius, Bighorn Sheep, 1916. Bronze, 17 × 17 × 7 inches. Tacoma Art Museum, Haub Family Collection, Gift of Erivan and Helga Haub, 2014.6.101. Photo © TAM, photo courtesy of Laura McCurdy. Henry Merwin Shrady, Elk Buffalo (The Monarch of the Plains), circa 1900. 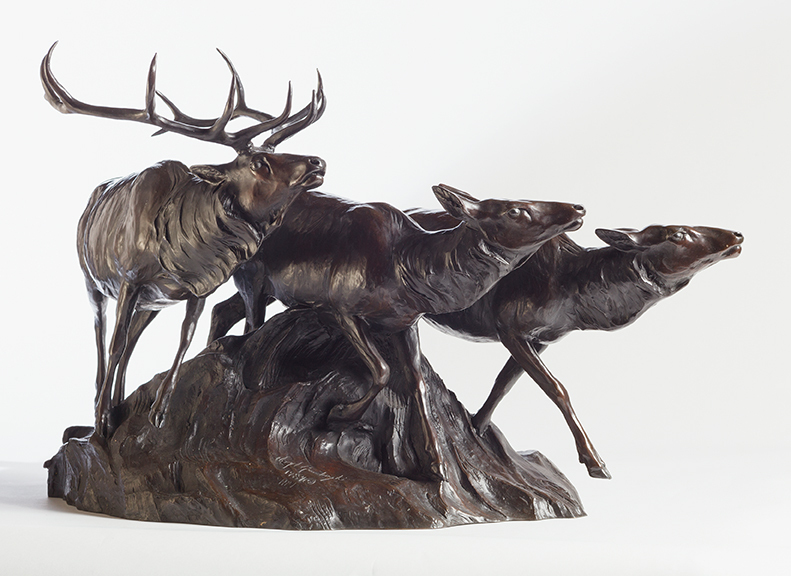 Bronze, 22½ × 24 × 13 inches. Tacoma Art Museum, Haub Family Collection, Gift of Erivan and Helga Haub, 2014.6.124. Photo © TAM, photo courtesy of David J. Swift.